In 1996, Citroën created the ‘Leisure Activity Vehicle’ segment. Today the marque unveils the third-generation Citroën Berlingo, which continues the story with its original, simple and functional styling. 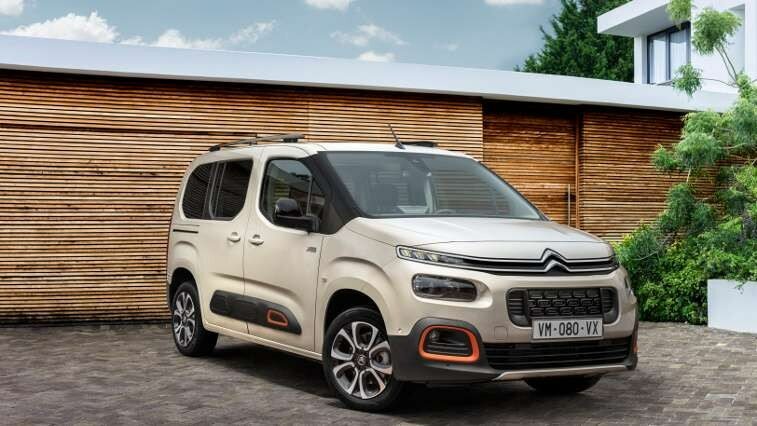 New Citroën Berlingo has been updated in terms of design and comfort, reinforcing the fresh spirit and practicality behind the success of the iconic model, which has sold over 1.7 million units. New Berlingo features all the brand markers of Citroën design with a new body that gives it a robust and cheerful appearance. New Berlingo also sees the introduction of the smooth and efficient EAT8 (8-speed) automatic gearbox. This latest Citroën model will make its world premiere at the Geneva Motor Show next month and will go ‘on sale’ during the second half of 2018. 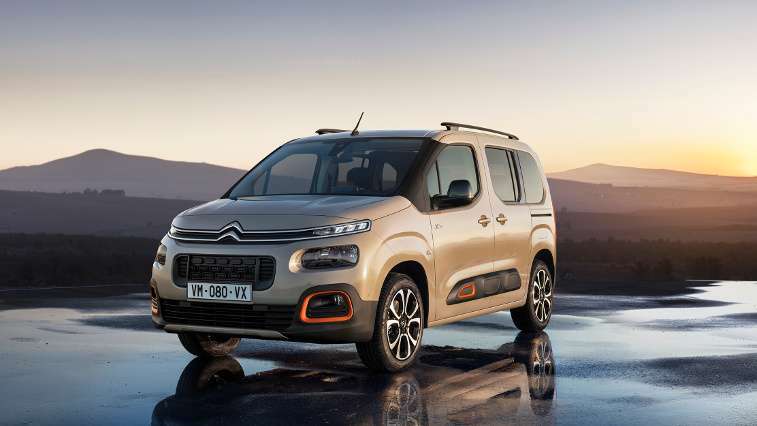 With the reveal of New Berlingo, the Citroën brand is updating an icon in the ‘Leisure Activity Vehicle’ (LAV) segment, which it created 22 years ago. The new model, which will make its world debut at the Geneva Motor Show in March, offers an optimum combination of design, comfort and ease of use. With three independent rear seats, the Modutop® multi-function roof and an opening rear window built into the tailgate, New Berlingo continues to be a major player in the segment. 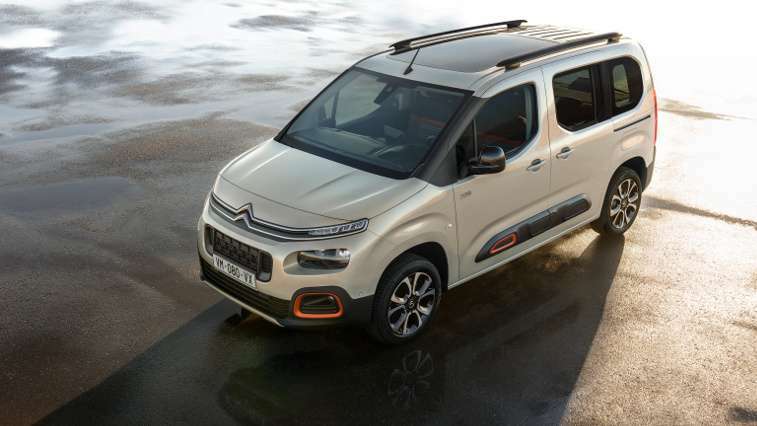 With the third-generation passenger version of the Berlingo, Citroën is unveiling a major model both for the brand and for its segment. A multi-faceted vehicle, New Citroën Berlingo is a smart buy for families or seniors with active lifestyles who are looking for exceptional space, practicality and simplicity of use. The new leisure activity vehicle is a true and faithful reflection of the brand's new signature, ‘Inspired By You’. • Two sizes, M and XL, with body lengths of 4.40m and 4.75m, with five and seven seats. • 28 large and ingenious storage spaces such as the new-generation Modutop® multi-function roof that also lets more light into the cabin. The ‘Top Box’ glove box is unique to the segment thanks to the ‘Airbag in Roof’ system. • A broad range of high-performance engines including the new BlueHDi 130 1.5 diesel and PureTech 1.2 petrol powertrains. In step with Citroën's other recent creations, New Berlingo disrupts in terms of style and brings a breath of fresh air to the segment. Citroën has made in-depth upgrades to its new model, which stands apart through its original body styling as well as its robust, flowing and non-aggressive design. At the front, New Citroën Berlingo stands out with strong styling features, made possible by the integration of the EMP2 platform and a shorter front overhang. With a higher and shorter bonnet, drivers have a commanding view of the road. A broader and unmistakeably Citroën front end with the brand's inimitable two-tier light signature, and a forward-set windscreen, provides more space and light. To reinforce its character and underline its modern and dynamic profile, New Citroën Berlingo sports a higher waistline and large windows with distinct contouring. New Berlingo is also equipped with lengthwise roof bars (depending on the version). The styling is enhanced by Airbump® panels on the bottom of the doors, emphasising its robust look and signalling constant body protection. At the rear, the smooth and vertically orientated lights of New Berlingo frame the tailgate, which is equipped with a dark-tinted opening rear window set above the chevrons. These components boost the stature of New Citroën Berlingo and balance out the design lines of the model, which has a minimum height of 1.81m (without the roof bars). Like C3, New C3 Aircross Compact SUV and New Citroën C4 Cactus Hatch, New Citroën Berlingo is enhanced by a list of personalisation options, which is core to the brand and favoured by customers. Outside, the new vehicle comes with a range of eight body colours: Soft Sand, Aqua Green, Arctic Steel, Platinum Grey, Onyx Black, Deep Blue, Passion Red and Polar White. The colour signature can be reinforced by touches of colour surrounding the rounded front fog lights and on the Airbump® panels: White Colour Pack (depending on the version) or Orange Colour Pack (linked to the XTR Pack). In pure go-anywhere spirit, the emblematic ‘XTR Pack’ option stands out with the use of the Orange Colour Pack and 17-inch alloy wheels, and a special ‘Wild Green’ interior ambiance. Moving inside, the comprehensively upgraded interior marks a generational leap in terms of finish and quality, to inspire a sense of serenity. New Citroën Berlingo stands apart through its airy cabin and high-set driving position. The meticulously designed dashboard with its horizontal styling has been made even more user-friendly, with direct access to the air-conditioning controls and a number of storage spaces. • The‘Wild Green’ ambience is specific to the XTR Pack. Synonymous with adventure, it features Green Cloth and an Orange strip, contrasting with a Green striped pattern. For the first time in its history, New Citroën Berlingo is available in two sizes, with balanced proportions and design. The standard M size model keeps its compact shape and agility, measuring 2cm longer than the previous generation at 4.40m, with a 2.78m wheelbase. The lengthened XL version adds an extra 35cm for a total length of 4.75m and a 2.97m wheelbase. More versatile than ever, with the possibility of transporting five or seven passengers, New Citroën Berlingo brings a new response to the needs of families and friends, giving them a choice between spaciousness and boot volume depending on their activities. Practical inside and out, features include top-class accessibility for passengers thanks to its two wide and highly functional sliding side doors, which are now fitted with electric windows. There is a broad tailgate that opens onto a spacious boot. The load volume is 775-litres for the M model (100-litres more than the current generation five-seater) and 1,050-litres for the XL version with five-seats (where specified). New Citroën Berlingo is bathed in light in the cabin, thanks to 6.4m2 of glass. This includes a wide windscreen, side windows and rear quarter-lights. Combined with the Modutop® (depending on the version), the large panoramic sunroof floods the cabin with even more natural light and can be covered with an electric sun blind. 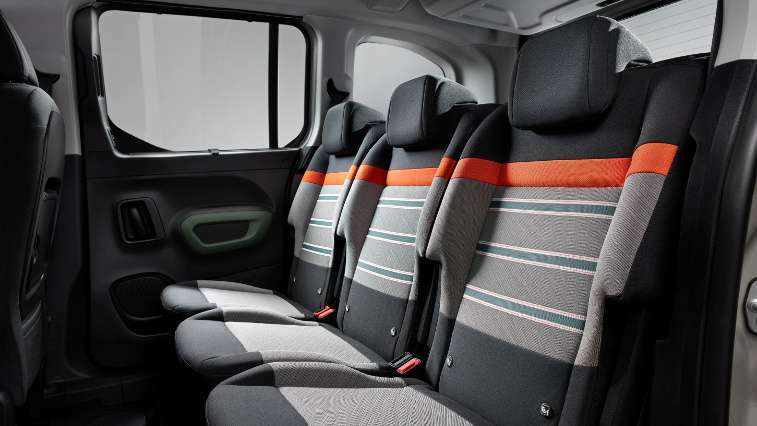 For even more well-being and comfort at night, New Citroën Berlingo is also equipped with individual reading lights for the rear seats and now boasts ambient lighting that enhances the translucent part of the storage arch. New Berlingo will make its international debut in a few weeks at the Geneva Motor Show, followed by its launch in the second half of 2018. 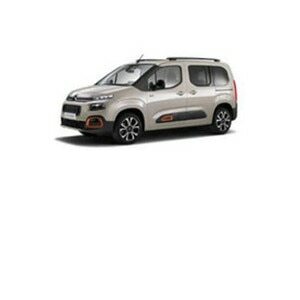 To discover more about New Citroën Berlingo visit the showroom here.